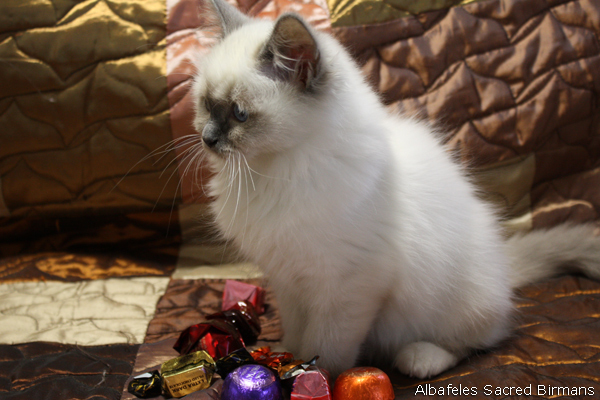 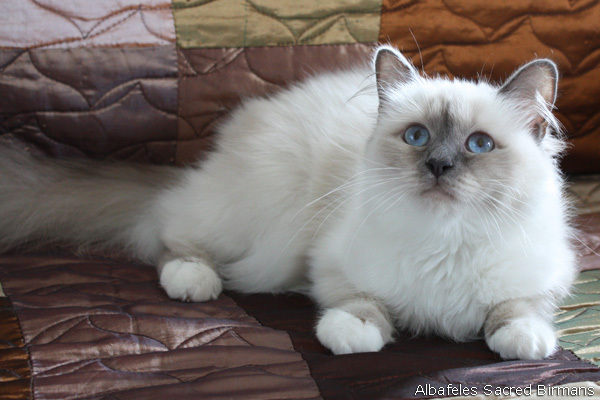 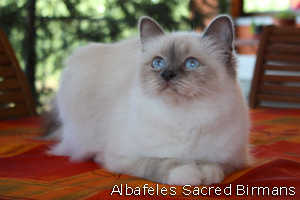 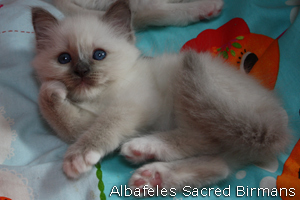 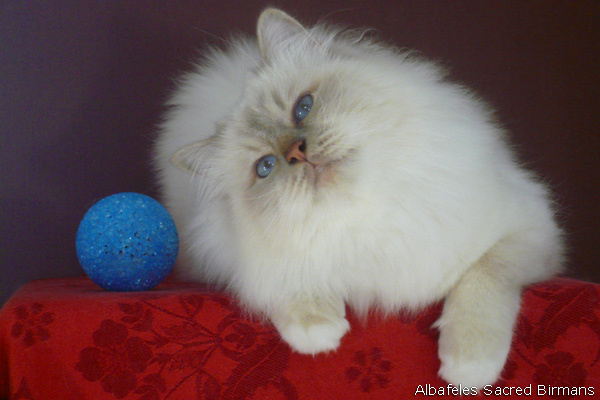 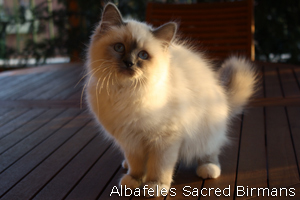 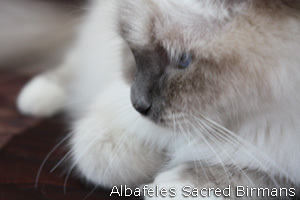 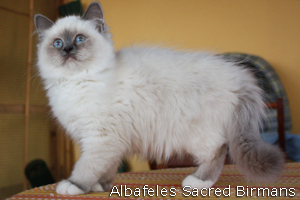 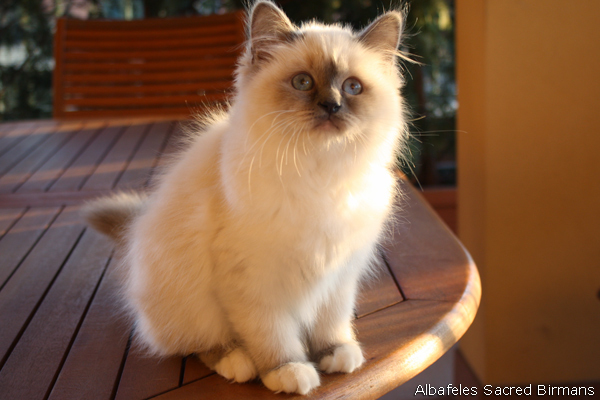 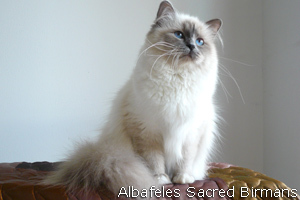 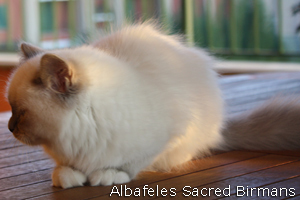 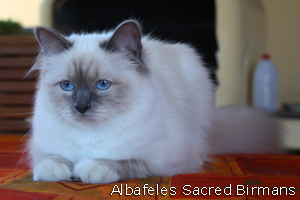 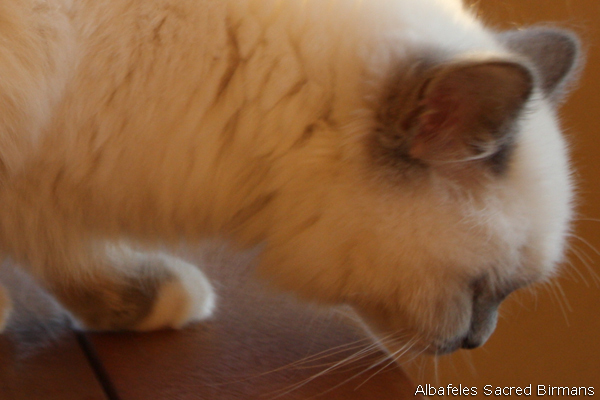 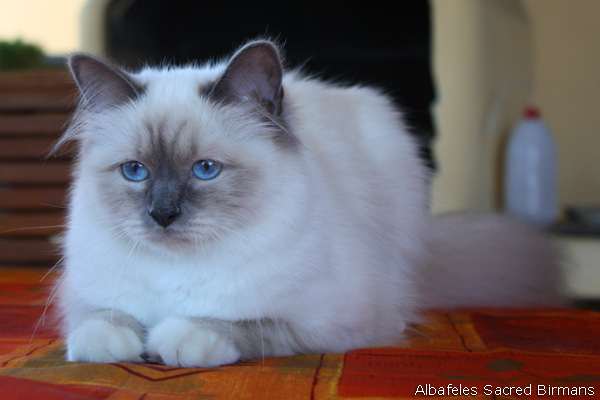 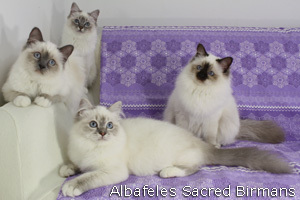 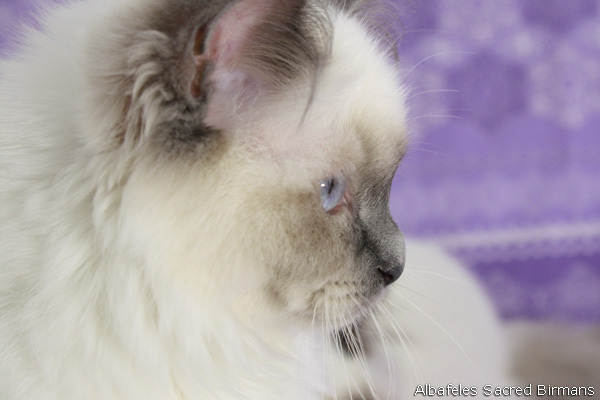 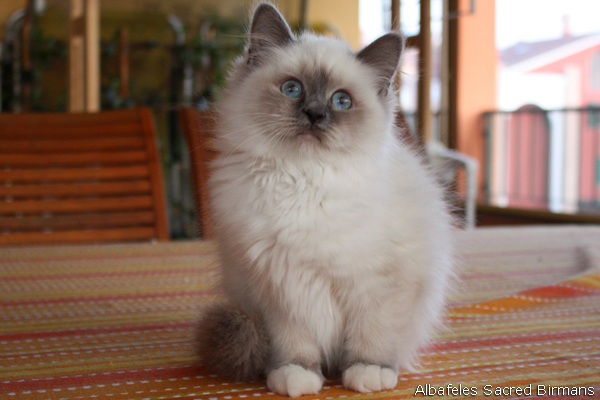 Albafeles' Priscilla is our fourth generation. 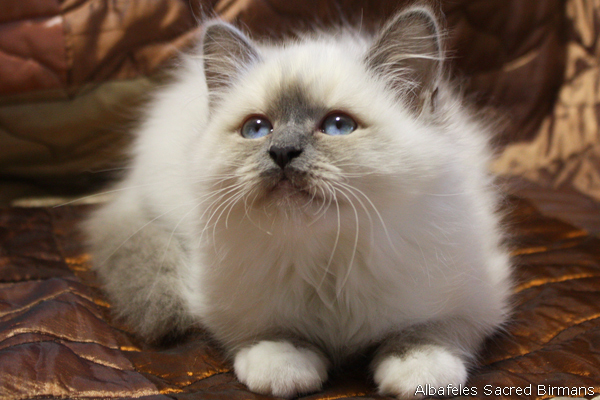 She is very near to the Perfect Ideal Birman. She has an excellent profile, excellent look, excellent simmetrical gloves.